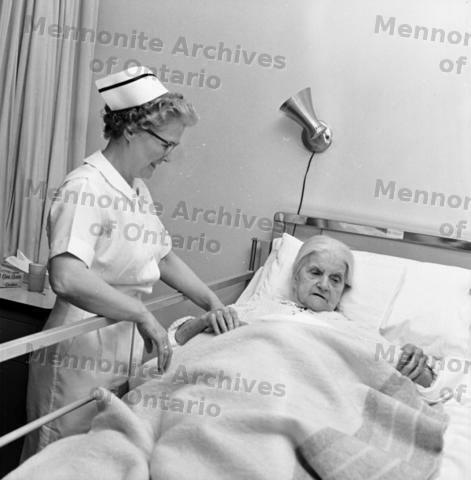 Elizabeth Kyle R.N., former Director of Nursing Services cares for an elderly woman at Fairview Mennonite Home in Preston, Ontario. Two negatives. Photo taken in May 1966.